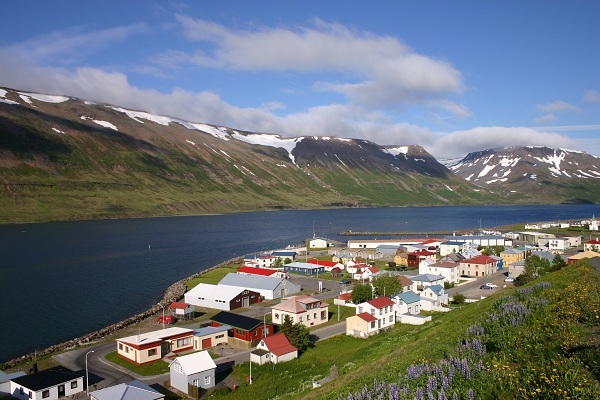 In about three weeks, I’ll be land­ing at Keflavik Air­port, in Ice­land. While I do have some pre-set appoint­ments, for the most part, I’ll be explor­ing that inter­est­ing coun­try in my usu­al unplanned, eccen­tric way. I must cram as much expe­ri­ence as I can into a mere ten days ― not much time, con­sid­er­ing how much that coun­try has fas­ci­nat­ed me over the years, and how much I’ve read about it. But read­ing about a place, no mat­ter how thor­ough­ly, is no sub­sti­tute for walk­ing in it, talk­ing to its peo­ple, get­ting the smell of the air and the lay of the land. I usu­al­ly trav­el light, car­ry­ing only a small back­pack which con­tains a change of clothes, a pup-tent, a few gen­er­al-pur­pose tools, some books and note­books. I’m most inter­est­ed in how ordi­nary Ice­landers live their lives. As I usu­al­ly do, I’ll seek out the unspec­tac­u­lar and unof­fi­cial, the streets and lanes and bits of coun­try that tourists sel­dom care about. I always want to see the dark cor­ners, the social prob­lems, the blem­ish­es as much as the admirable and the pic­turesque. I will try to speak to as many Ice­landers as I can, and of every kind ― young and old, rich and poor, town and coun­try, fish­er­men, farm­ers, stu­dents, busi­ness peo­ple, aca­d­e­mics, any­one. My inter­ests are social, his­tor­i­cal, polit­i­cal, and lit­er­ary, in the main, but film, art, music, nat­ur­al his­to­ry, agri­cul­ture, fish­eries, archae­ol­o­gy, geol­o­gy and ecol­o­gy also demand my atten­tion. I am eager to meet experts and enthu­si­asts in all these sub­jects. 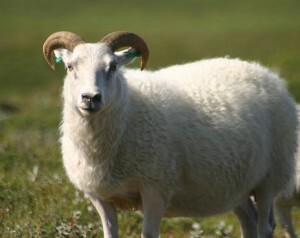 As a for­mer shep­herd, I am par­tic­u­lar­ly eager to meet Ice­landic sheep­men. It would also be nice to encounter some of the famous Ice­landic ponies. Ice­landic writ­ers, of course, would be par­tic­u­lar­ly delight­ful to meet, espe­cial­ly any of the county’s fine mys­tery writ­ers. Ice­land holds some par­tic­u­lar inter­est for a Cana­di­an like myself. The two coun­tries have some unusu­al links. Dur­ing the nine­teenth cen­tu­ry, Ice­landic migrants to Cana­da were grant­ed the spe­cial priv­i­lege of set­ting up a “state with­in a state” in West­ern Cana­da. Before it was absorbed into the Province of Man­i­to­ba, Ice­landers had a self-gov­ern­ing, semi-autonomous “repub­lic” with its own Allth­ing, mod­eled on the Ice­landic Free State of the Mid­dle Ages. Ice­land is the only Euro­pean coun­try that actu­al­ly sent a greater num­ber of its emi­grants to Cana­da than to the Unit­ed States. The town of Gim­li, in Man­i­to­ba, still pre­serves many Ice­landic tra­di­tions. There are about 90,000 Cana­di­ans of Ice­landic descent ― equal to a quar­ter of the pop­u­la­tion of Ice­land itself. And of course, Ice­landers were the first Euro­peans known to have set foot on Cana­di­an soil. The first Ice­landic-Cana­di­an, Snor­ri Þorfinns­son, was born a thou­sand years ago! (almost exact­ly, if the date of 1012 attest­ed in the Sagas is cor­rect). My prin­ci­pal area of his­tor­i­cal study and writ­ing is the ori­gins of democ­ra­cy, and small scale demo­c­ra­t­ic insti­tu­tions. Ice­land, with its medieval par­lia­ment, looms large in this study. I will of course want to vis­it the Þingvel­lir, like any tourist would, but it will have a spe­cial import for my stud­ies. Iceland‘s mod­ern con­sti­tu­tion is of equal inter­est to me. The cur­rent admin­is­tra­tion, which emerged after the finan­cial cri­sis of 2008, deserves some atten­tion. Hope­ful­ly, I will meet some­one who knows its work­ings. I‘ve read much about the caus­es and results of that finan­cial cri­sis, and this, too, must be explored in situ. While much of my time will doubt­less be spent in Reyk­javík, I’ll try to get out into the coun­try as much as pos­si­ble. My hitch-hik­ing thumb, much used over the years, is always ready to bring me to some new adven­tures. Which reminds me: to qual­i­fy as a cer­ti­fi­able life of adven­ture, it must include some con­tact with a live vol­cano. My child­hood imag­i­na­tion put great stock in vol­canos, along with dinosaurs, emp­ty dune deserts, and out­er space. Molten lava is just one of those things I expect­ed to encounter in a well-lived grown-up life, and Ice­land offers the oppor­tu­ni­ty of mak­ing that come out right. 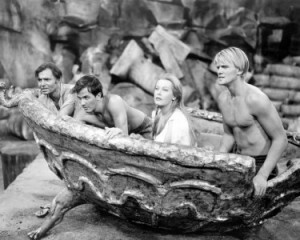 My old­er broth­er tells me that my fas­ci­na­tion with pale­on­tol­ogy began when, as a child, I was ter­ri­fied by the dinosaurs in the film Jour­ney to the Cen­ter of the Earth. In that film, I prob­a­bly first heard the Ice­landic lan­guage spo­ken, by the char­ac­ter Hans (por­trayed by Pétur Rögn­valds­son) who was much more inter­est­ing than the dimwit­ted hero played by Pat Boone. Along with James Mason and Arlene Dahl, they descend into the crater of Snæfell­sjökull, and find their way to the “cen­ter of the Earth” amid much Hol­ly­wood con­fu­sion about how the world is struc­tured. The orig­i­nal Jules Verne nov­el used nine­teenth-cen­tu­ry sci­ence, but Verne did not make such absurd goofs. The book was a favourite of my ear­ly read­ing in French. With its promi­nent place in my child­hood men­tal fur­ni­ture, I would love to vis­it Snæfell­sjökull. “Jour­ney to the Cen­ter of the Earth”, with mus­cu­lar Pétur Rögn­valds­son on the right. So, the mask of my offi­cial pur­pose, all very seri­ous and aca­d­e­m­ic, comes away. My motive for the trip is real­ly pure fun. The count­down begins to anoth­er adven­ture.